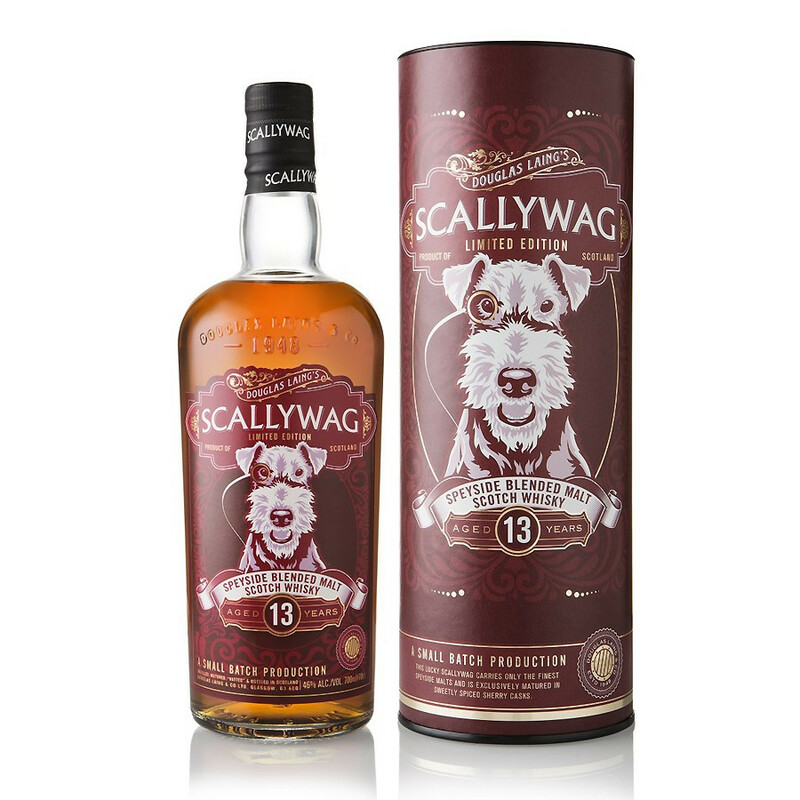 Scallywag 13 years old is a blend Speyside scotch whisky that is matured exclusively in sherry butts, resulting in a rather spiced, dark and fruity expression. Scallywag 13 Years Old is a limited edition “big brother” to the original Scallywag Speyside Malt Scotch Whisky, released by Douglas Laing & Co., leading independent Scotch Whisky firm. The new release is matured exclusively in Sherry butts and is the first global Scallywag release to carry an age statement. Packaged in a striking ruby-red gift tube, the colour palette is said to honour the richly spiced, dark and fruity Malt inside. In line with the Douglas Laing philosophy, this Speyside “Vatted” Malt is proudly offered without colouring or chill-filtration and bottled at 46% alcohol strength. Nose: The nose is big, dark, distinctly sherried, raisin-y with home-baked fruitcake and molasses to the fore. Palate: Palate-wise, the sweet dark sherry opens, then detect late vanilla, nutmeg and ginger mixing with rich cereal tones. Finish: All of which combine in the still spiced finish offering a long and wagging tail-end of mocha.